Have you ever had clogged drains in your home? We’ve all been faced with this issue at some point or another, and our sponsor Roto-Rooter has some great tips for how to combat those clogged drains without spending an arm and a leg. We currently live in an older home, and since we are on a septic system here, clogged drains can be a real issue from time to time. In fact, right about the time I received Roto-Rooter Gel Clog Remover to test out, our master bathroom sink started having issues. Let’s face it. Hair is something we almost all deal with, and since my Beau shaves his head every day, it can be even worse. Our bathroom sink definitely has issues with hair clogs on a semi-regular basis, and this product came in handy this week as I worked on clearing out a clog to use our sink easier. 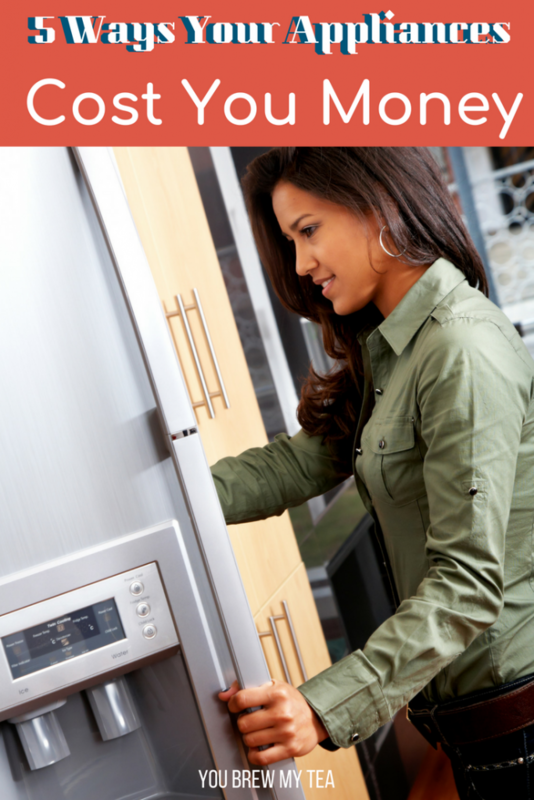 Here are some of my top tips to help you prevent and clear clogged drains. Clean your drains regularly. I am the worst about doing this, but I realize if I added it to our chore list I would remember to clean them more often. Instead of just wiping down my faucets and countertops as I clean, I should be removing the stopper, and cleaning inside the drain. Most sinks have a catcher a few inches into the drain that helps by blocking larger items from falling all the way down. I can use my secret weapon, a crochet hook just for this purpose, to reach down and help hook hair and pull out of the sink. This sounds gross, and it is, but trust me – it is worth the effort to keep drains clear. Don’t pour gunk down your drain. Yes, water, soap, shaving gel, and a bit of hair is going to go down your drain in the bathroom, but you shouldn’t be using that drain, or any drain, for random items. While our bathroom doesn’t have this problem, I have seen it with kitchen sinks many times. 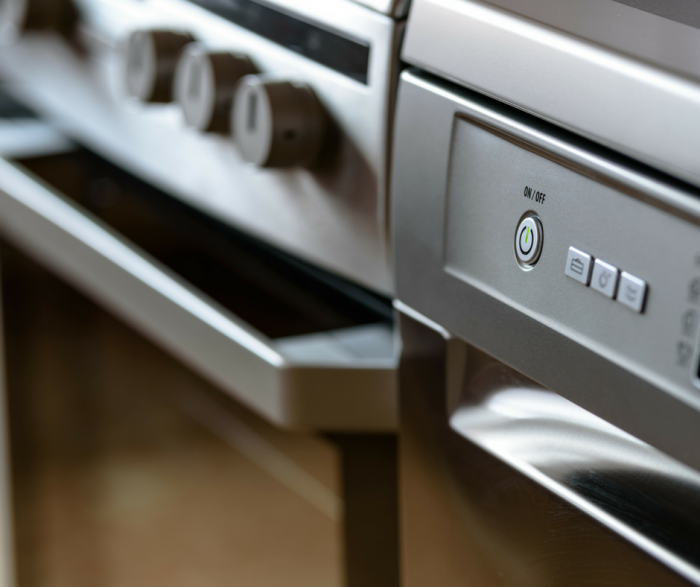 If you don’t have a garbage disposal in your sink, there is no reason you should be putting food down the drain. Because it takes some time to decompose and go through the system easily, a large piece can easily get stuck and create a clog. If it isn’t liquid, don’t send it down your kitchen drain. Don’t wait too long for treatment. When you notice your drain starting to move slowly, act fast. The longer you wait to treat, the harder it is to fix yourself. Clogged drains can be repairable with products like our favorite Roto-Rooter Gel Clog Remover, but they can also be too far gone and require a plumber if you wait too long and let build up become a big issue. At the first sign of slow drains, grab your Roto-Rooter Gel Clog Remover and follow the directions to clear your drain. Use a quality clog remover. 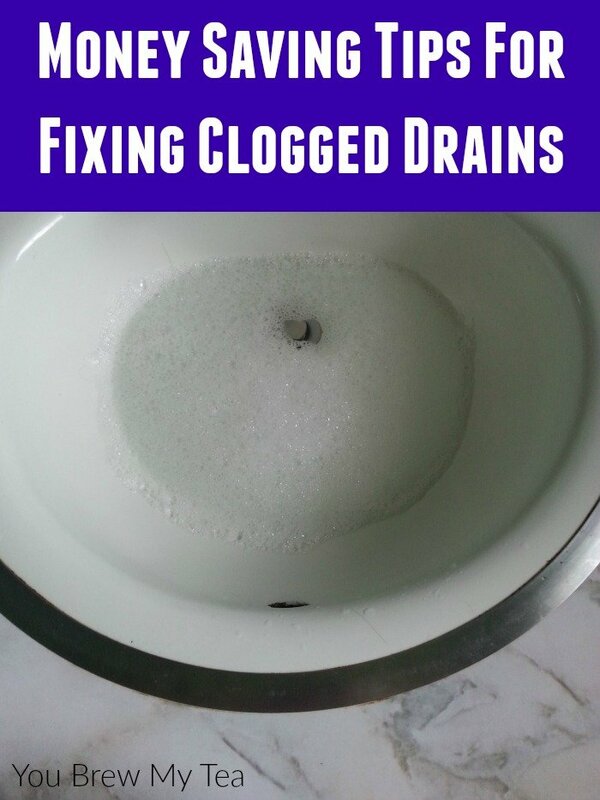 Over the years, I have tried many products for clogged drains. In fact, I remember as far back as childhood when my parents complained about the hair clogging the drains in the bathroom my sister and I shared. As an adult, I’ve grabbed the cheap products at the dollar store, and I’ve even tried a few home remedies, but at the end of the day, I’ve learned that quality saves money. 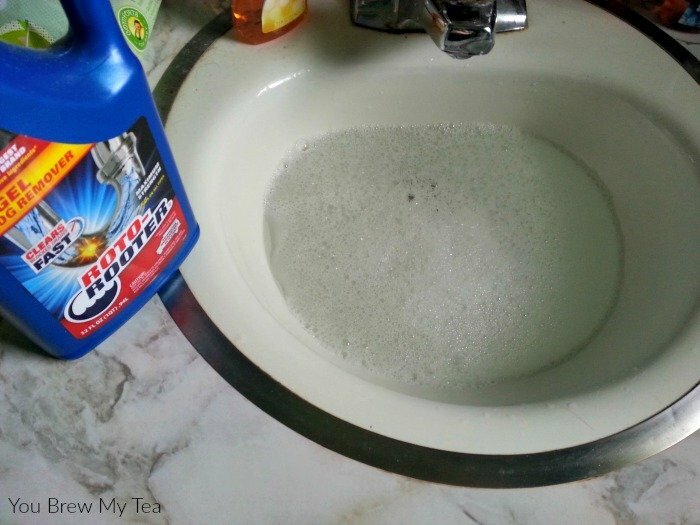 Roto-Rooter Gel Clog Remover is my favorite since it is so easy to use, and it is affordable. In fact, if you look under our bathroom sink, you will see we keep a bottle of this on hand right next to the toilet bowl cleaner at all times. As you tackle your home repair jobs and those occasional plumbing needs, look no further than Roto-Rooter to provide you with the quality brand of products for removing clogged drains, as well as other at-home plumbing needs.